"Not just another dragon story; this memorable escapade is fast-paced and packed with action. It will leave readers on the edge of their seats. "— D.J. MacHale, author, The SYLO Chronicles and PendragonCan one boy stand between two kingdoms at war? Jaevid Broadfeather has grown up as a wartime refugee, hiding from the world because of his mixed racial heritage. 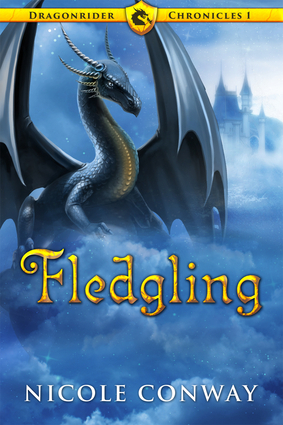 He feels his future is hopeless, until a chance encounter with a wild dragon lands him in Blybrig Academy—a place usually forbidden to anyone but the rich and royal. But Jaevid's case is special; no dragon has voluntarily chosen a rider in decades, so the proud riders of Blybrig must begrudgingly let him join their brotherhood despite his bloodline. Lieutenant Sile Derrick, a sternly tempered man with a mysterious past, becomes his instructor and immediately takes a peculiar interest in Jaevid's future. While struggling through the rigorous physical demands of training, things begin to go awry. Jaevid witnesses the king's private guards kidnapping Sile in the dead of night. When none of the elder riders are willing to help him, Jaevid begins a dangerous adventure to save his instructor. Everything Jaevid learned at the academy will now be put to the ultimate test.